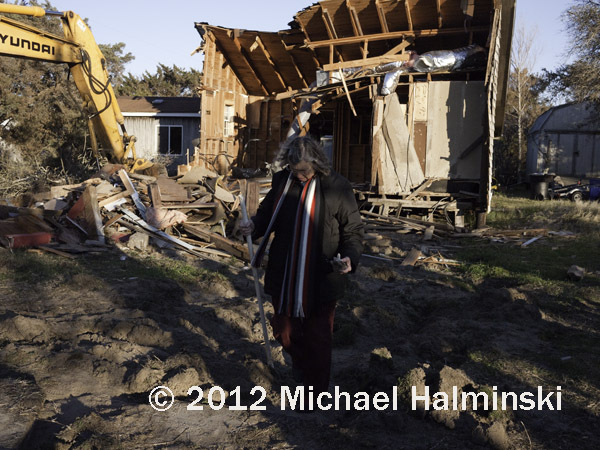 Two weeks ago Elsie Hooper’s house was torn down. 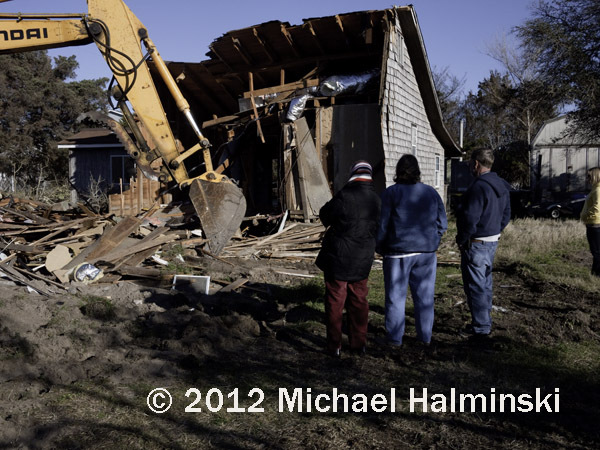 It was a relic of a home. Her husband Les passed away several years ago. 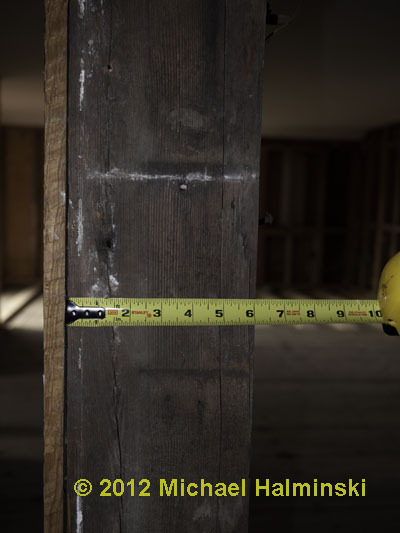 He had told his children when they were growing up, decades ago in that same building, that the original part of the house was well over a hundred years old. 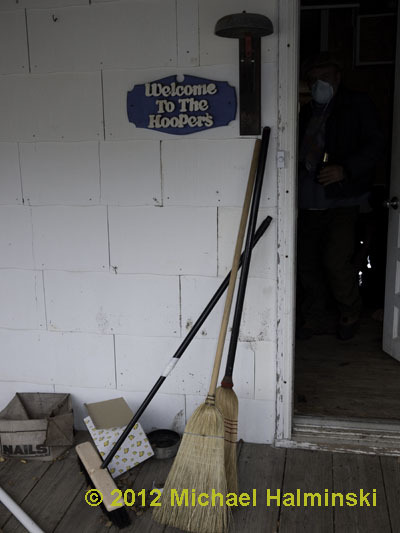 On the morning of February 1, a demolition crew arrived, to take down the house that had survived a multitude of storms, and had sheltered generations of family. 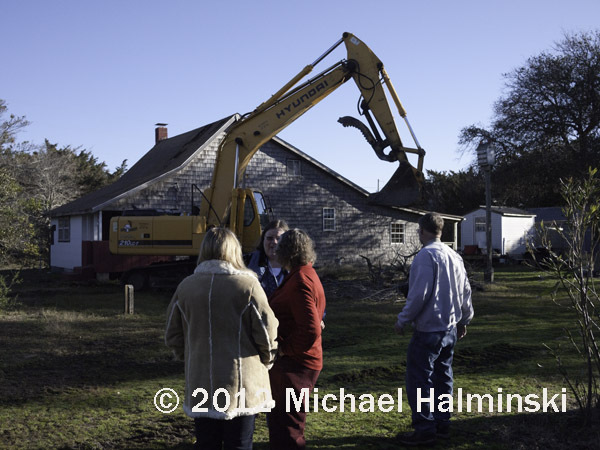 When Les and Elsie married, they bought the old house from a nearby property, and with the help of neighbors rolled it to the location where they would raise their family. 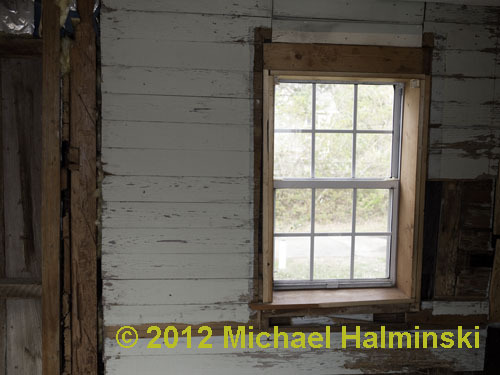 I suspect much of the house was built with hand tools, and as years passed and the family grew, it was added on to accommodate them. 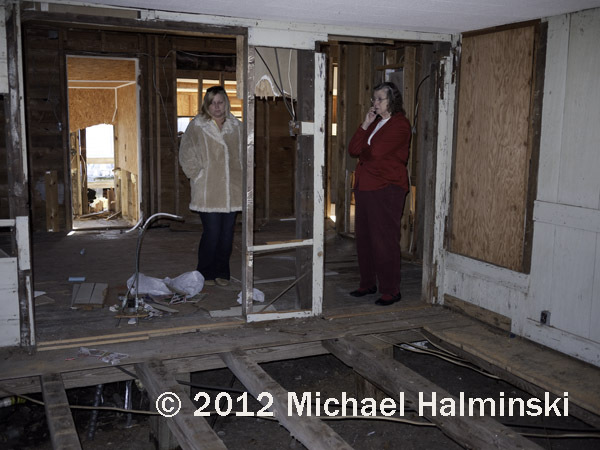 Elsie and her grand daughter Amanda, take a last look at the interior of a home that housed love and memories. 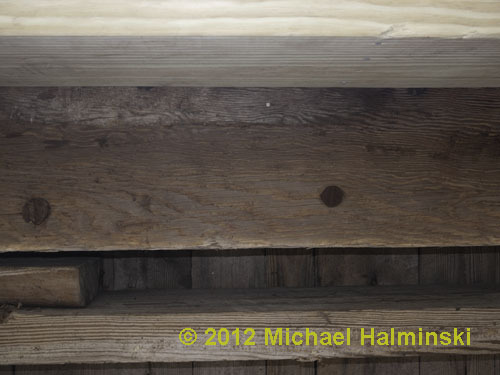 Hand hewn beams supported a floor in the original part of the home. Two of Elsie’s children and granddaughter came to lend some emotional support for an ordeal that must have been very difficult. 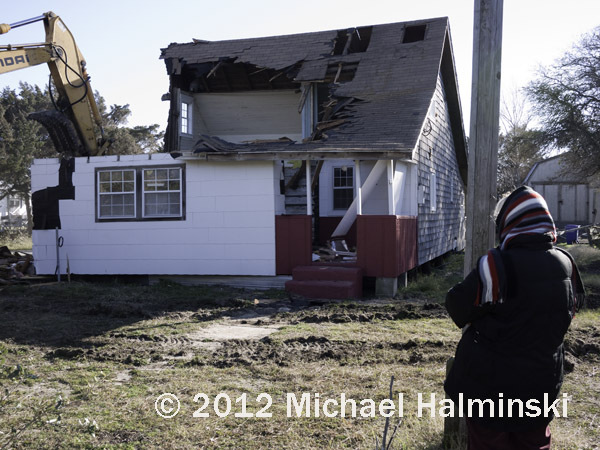 Well into the demolition, I can only imagine what was going on in Miss Elsie’s thoughts. 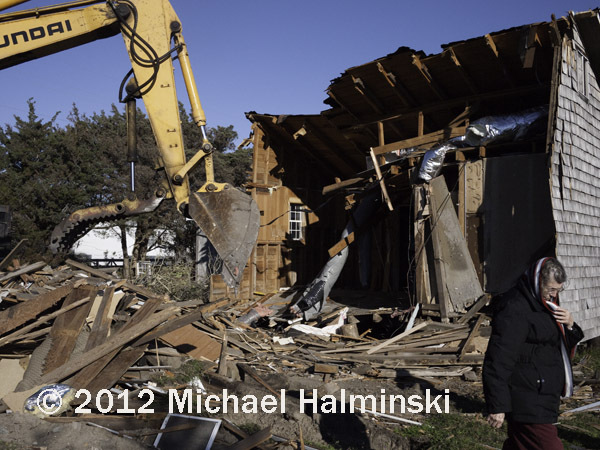 Her past hopes, dreams and memories going into a pile of rubble. The heartfelt values of any thing left are intangible and within her soul. Elsie looks on with daughter Sharon, and son Jimmie. Nothing could prepare you for something like this, yet I was amazed at their resolve and strength. 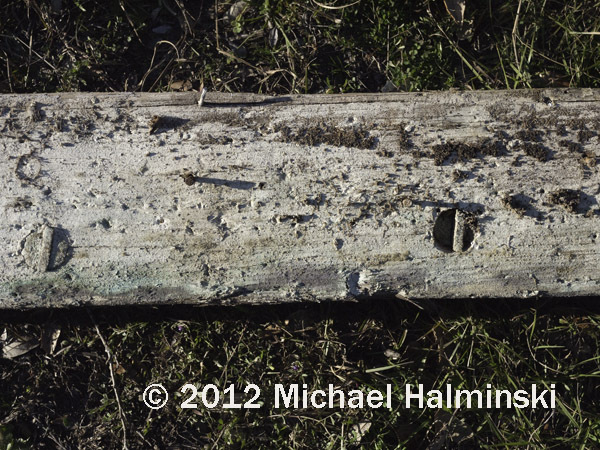 A few things were saved, like this beam taken from a shipwreck. 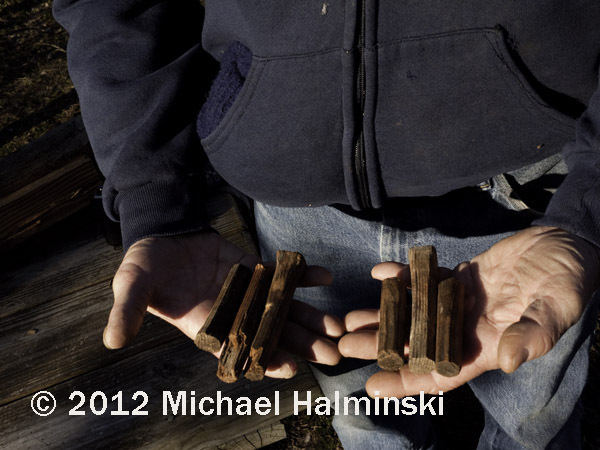 Jimmie Hooper holds some of the hand carved wooden pegs that held the roof rafters together. 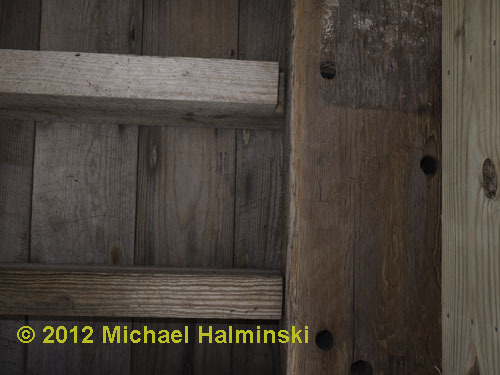 He plans to make a coat rack with them, for the new home that he’ll build for his mother. Miss Elsie combs the ground for anything that will give her good memories. Knowing my affinity for oyster shells, she dug some up from around the house and handed them to me. 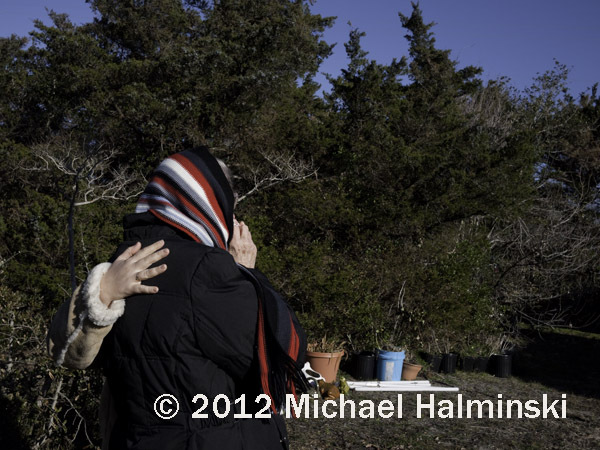 She mentioned that she and Les had shucked and eaten many big oysters there. 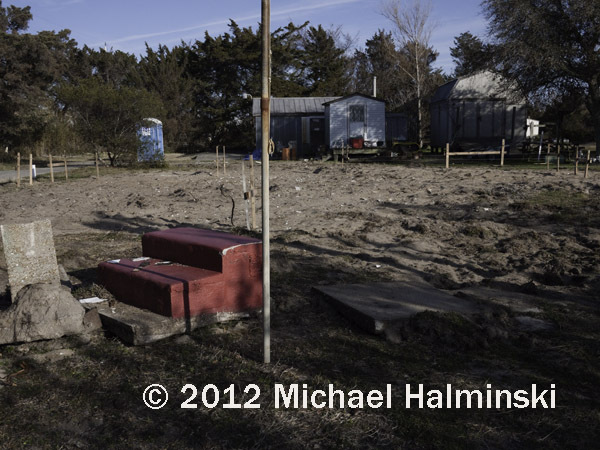 Elsie’s new house will be built on the same spot as the old home. 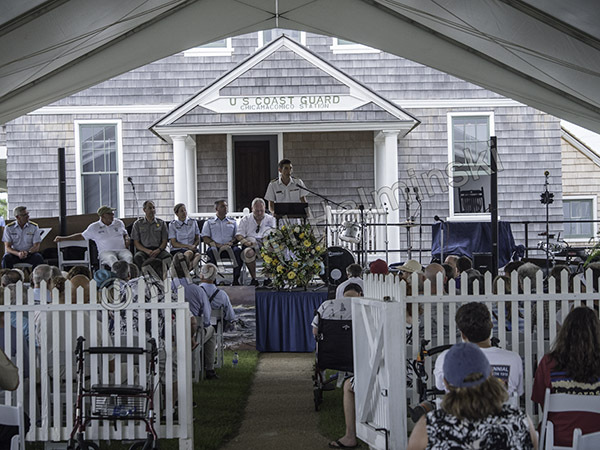 The concrete walk ways from the old house were once part of the long-gone Gull Shoal Coast Guard Station. 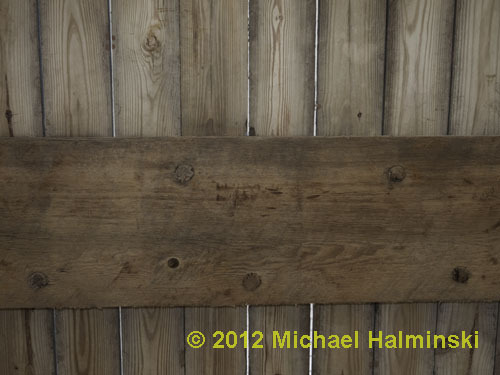 They will be reused for the new house. 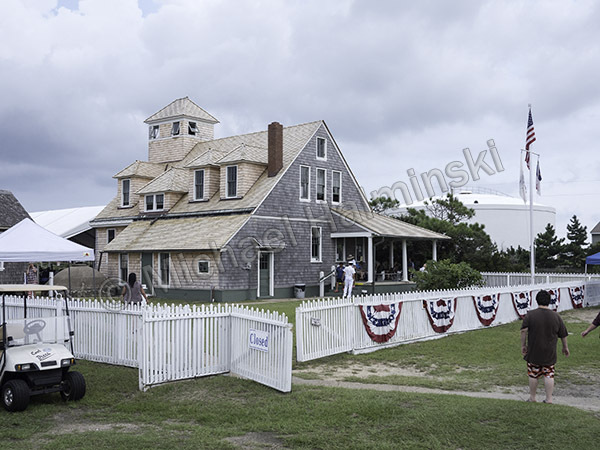 Considering the predictions of rising sea level and potential of future storms, I would venture to say that this new home may not have quite the longevity as the old one. 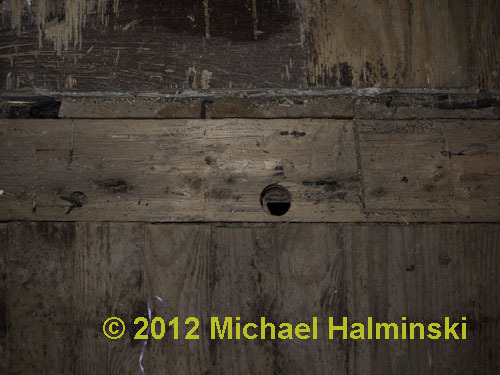 This entry was posted in buildings, Outer Banks, People, shipwrecks, storms on February 17, 2012 by j0jgvm89bj. 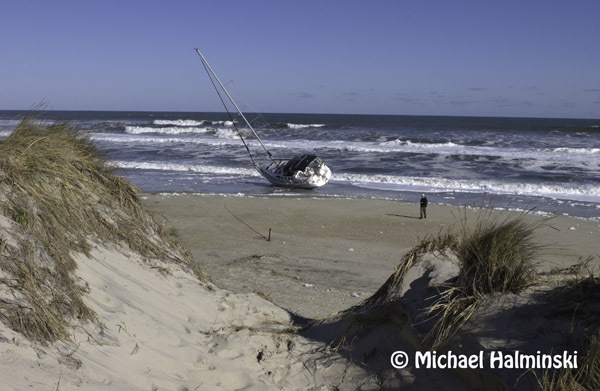 Often referred to as the Graveyard of the Atlantic, the ocean off the coast of the Outer Banks is littered with hundreds, if not thousands of shipwrecks. Before modern modes of sailing, navigation and weather forecasting, commercial shipping was a more dangerous proposition than it is today. Vessels transiting these waters however, still encounter problems. 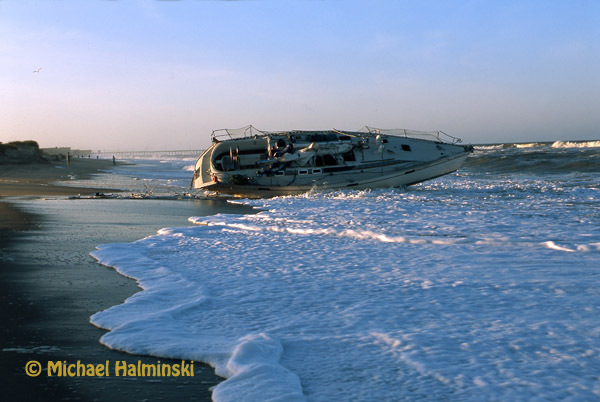 I was reminded of this as I wrote a previous blog entry about the Sheila Rene running aground at Oregon Inlet. 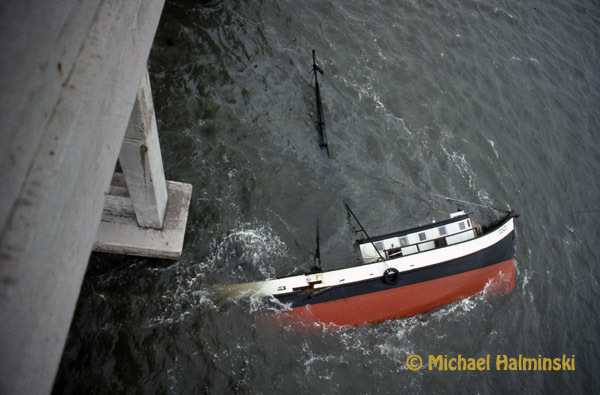 Similarly in October of 1977, as I was driving over the Bonner Bridge, south to Hatteras Island, I noticed a capsized trawler in the water next to the bridge. It was the fishing vessel Tosco. It was coming in the inlet with a 10,000 pound catch of flounder, when it ran aground and crashed into one of the bridge’s concrete piers. With a gaping hole in the hull, it sank right there on the spot. 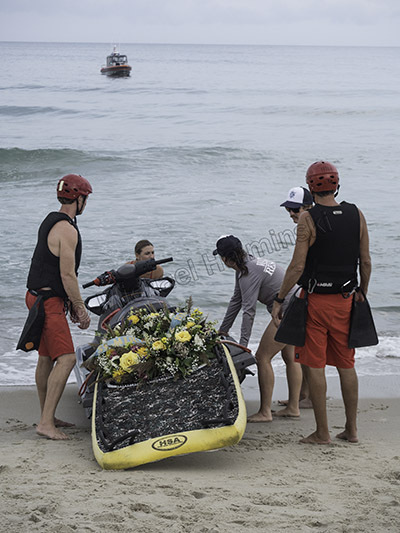 The boat was an estimated $100,000 loss, and the bounty of fish was also lost. The Tosco at Oregon Inlet in 1977. 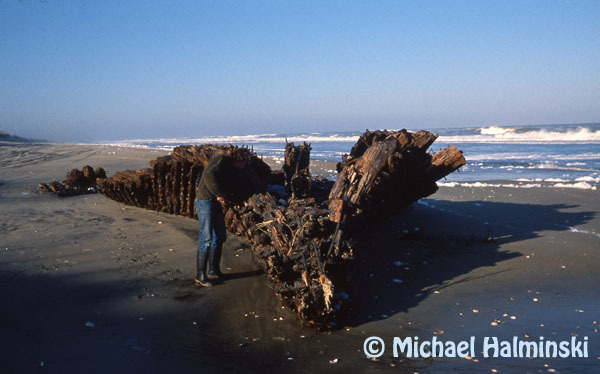 When most people think of shipwrecks along our shores, they think of the wooden sailing ships of the distant past. One of the last such wrecks was that of the GA Kohler. 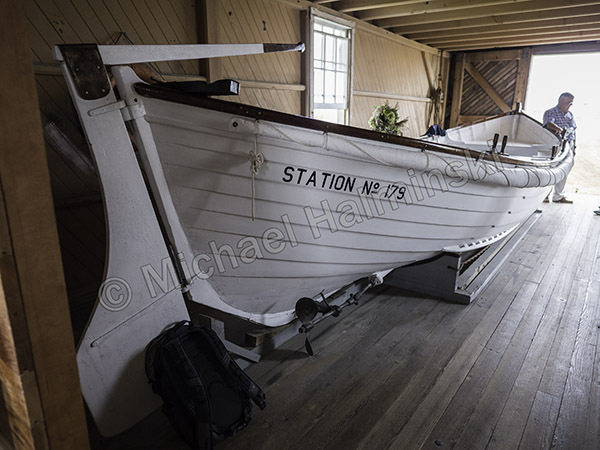 Built in Delaware in 1919, it was a 4-masted schooner, just over 200 feet long. 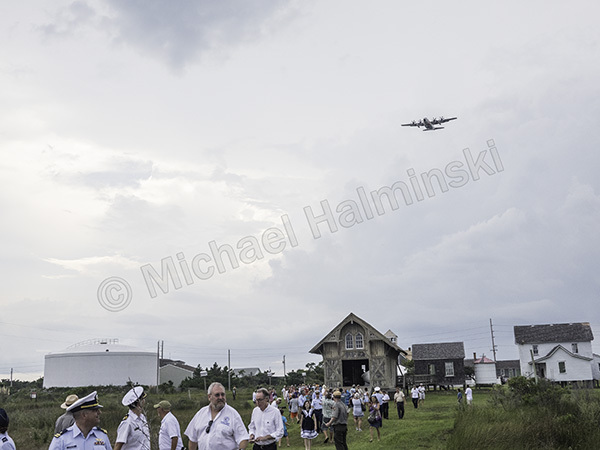 Washing up in a 1933 storm, it is significant as marking the end of an era. 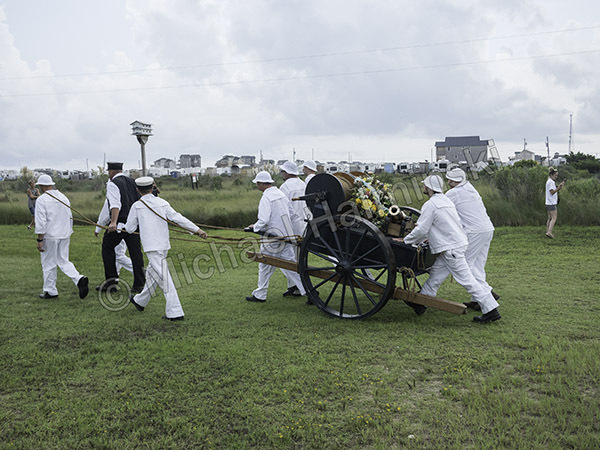 It lay upright on the beach and was stripped in the war effort for materials, and subsequently burned. 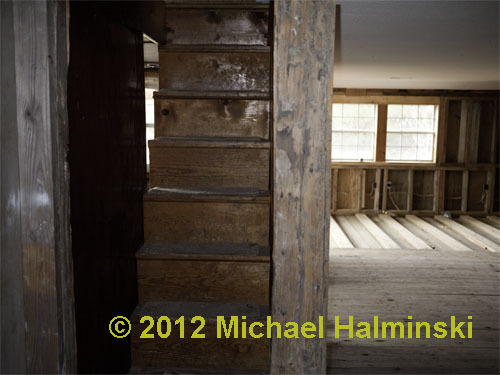 Some of the old artifacts, like wooden timbers, compass and even dinnerware, are in local homes today. 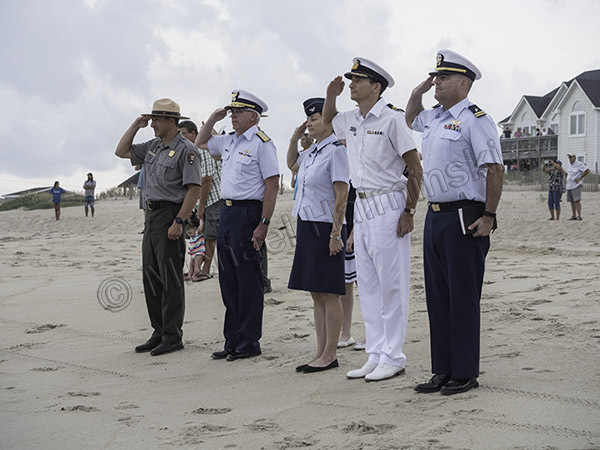 The remains of the GA Kohler are currently buried beneath the beach sands near Ramp 27, but on rare occasions the remnants are uncovered by the ocean. This photo from 1989 shows my friend Robin Gerald inspecting the stern section of the GA Kohler. Since then, maritime mishaps have become less likely, and rare. Most of the activity on coastal waters nowadays pertains to sport or commercial fishing boats, and private yachts, among others. One exceptional event though, occurred in January of 1976 . It was during a freezing northeaster. I awoke in a bitter cold mobile home and couldn’t open the north door to get out. It had been frozen shut during an ice storm. The entire north side of the trailer was coated solid with 2 inches of ice. Once I got outside, I looked toward the beach and saw a sight that I could not believe. 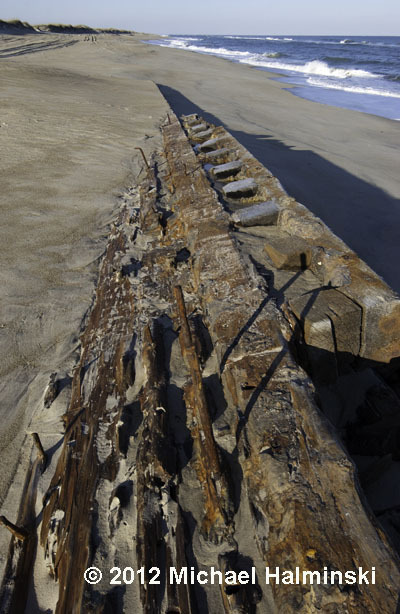 A 500 foot World War II liberty ship, Betelgeuse was washed up and towering on the beach. The moth-balled ship was being towed by a tug offshore when the storm hit with a vengeance. The tug, unable to handle the situation was forced to cut it loose. 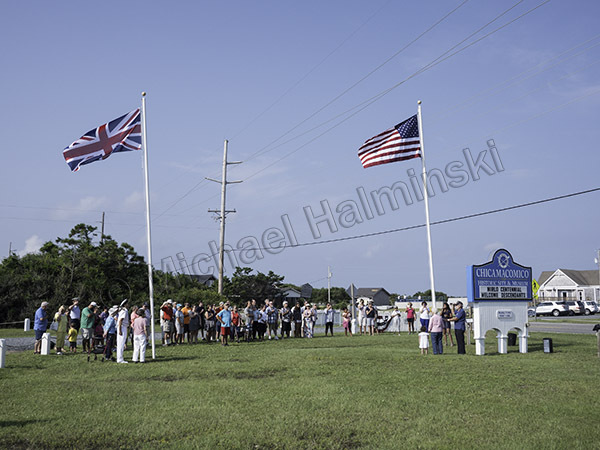 The ship sat on the beach for over a month until salvagers managed to move it, but not before Mac Midgett tied a line to it, claiming salvage rights. It was said that he made a few thousand bucks for his effort. 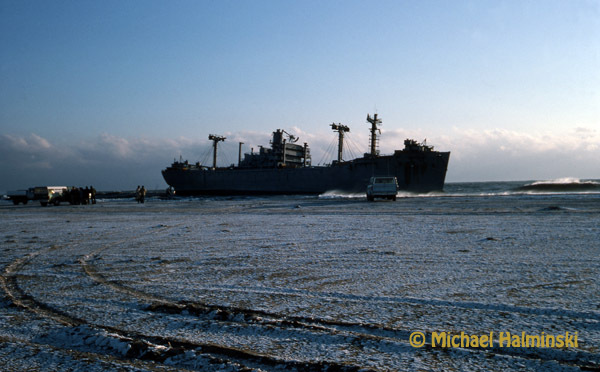 The World War II Liberty Ship washed in during an ice storm in 1976. 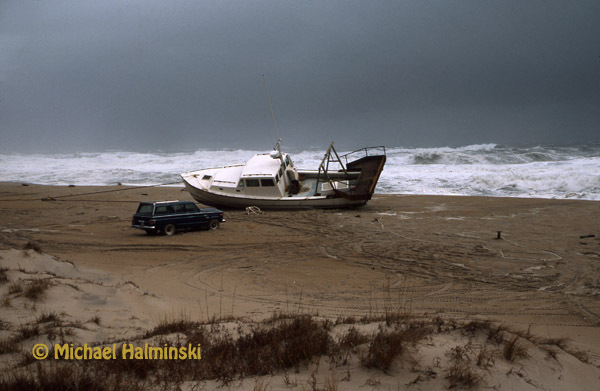 1987 was a banner year for stranded fishing boats. 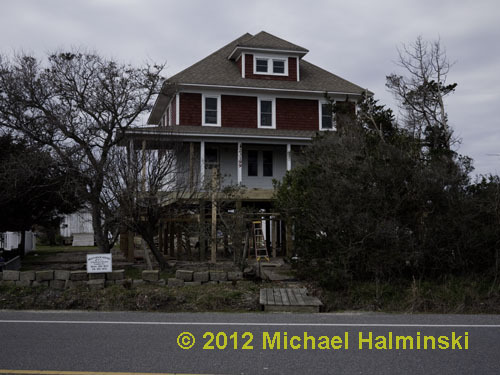 Here the Sweet Lady sits on the beach at Rodanthe, just yards from the pier. 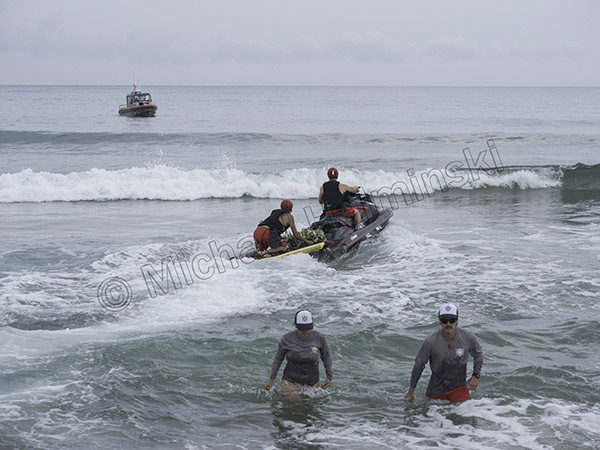 It was abandoned offshore during a storm as the crew evacuated via Coast Guard helicopter. 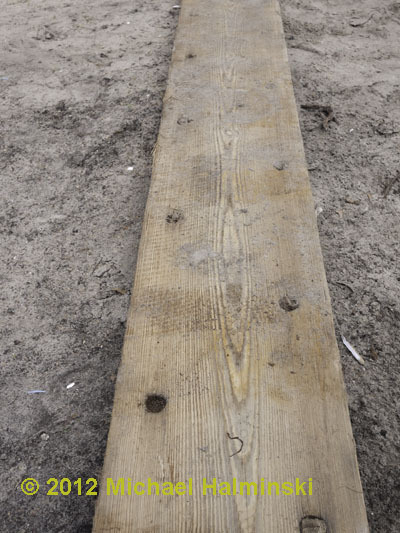 It came short of hitting the pier, and was eventually salvaged. 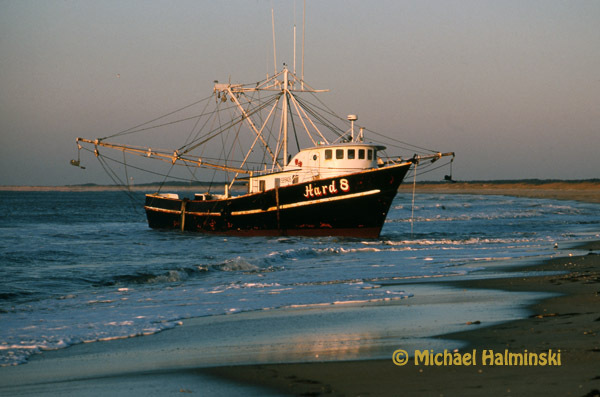 The Hard 8 came ashore in “the hook” at Cape Point that same year. 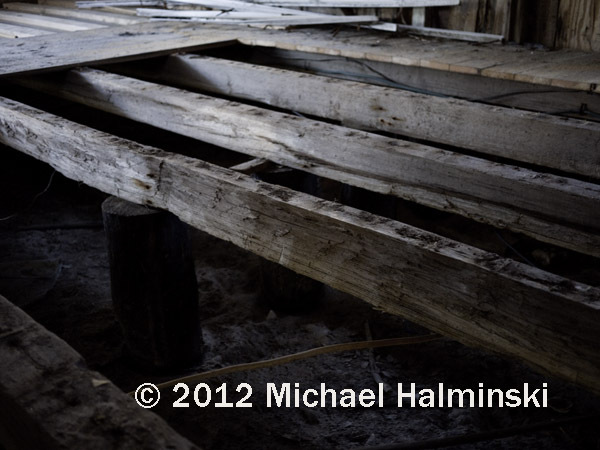 When the Miss Manhattan washed ashore in 2000, it had hit the Rodanthe pier, and was dismasted in the process. It was salvaged. 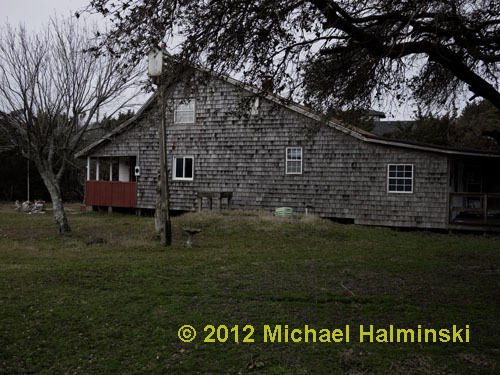 The Sly Fox came ashore on Pea Island around Christmas of 2004… not so sly any more. 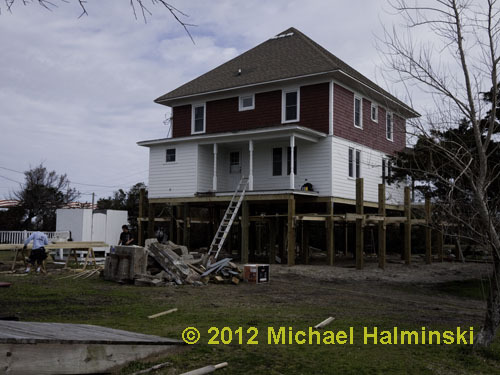 They say that one problem on the water, especially during severe weather, can turn into multiple problems very quickly. 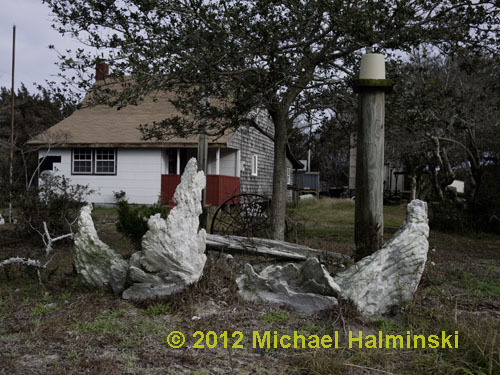 With distressed vessels in the Graveyard of the Atlantic this seems to be a common denominator. This entry was posted in commercial fishing, boat, pamilco sound, gillnetting, inlets and sandbars, Outer Banks, Sea, shipwrecks, storms on March 15, 2010 by j0jgvm89bj.